The world is blessed with many beautiful places, spots, and centers which bring tourists in their droves. This also helps the individual countries to generates funds from the visits. There are countless of these spots but in this list, we will look especially at those ones known for their spiritual, mysterious or both significances. 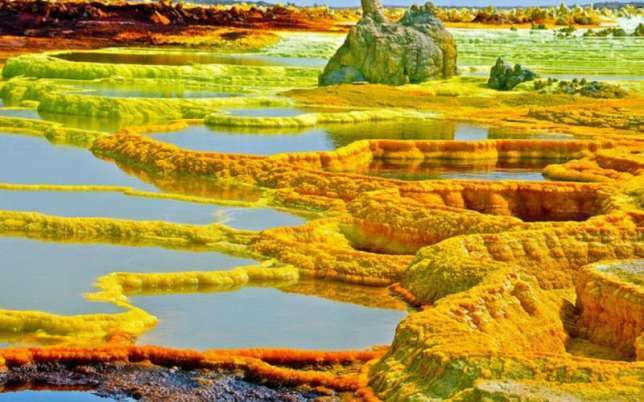 Dallol is regarded as the hottest place on earth. The city which sits in a very close proximity to a volcanic mountain reaches the dangerous temperature of 96 degrees. The city is still an undesirable place to live, although settlements around it came as a result of needs during WW1. Its active volcano is still a terrifying thing. The River Ethiope is located in Delta State. One of the wonders of the world. This is because of the mystery of its source - roots of a tree. The water trickles out of (or under) the roots at the back of the tree but in the front, there are no signs of water. The river is known locally as 'Onoku River' after the tree which is revered as 'Onoku Deity'. This river is said to get a little dry during the rainy season but during the dry season, it flourishes! It originated at Umuaja, a community in Ukwuani Local Government Area of Delta State. From there it flows through three local government in the State before joining the Ocean in Sapele. At River Resort Hotel in Abraka, Delta State one can enjoy the river at its best. 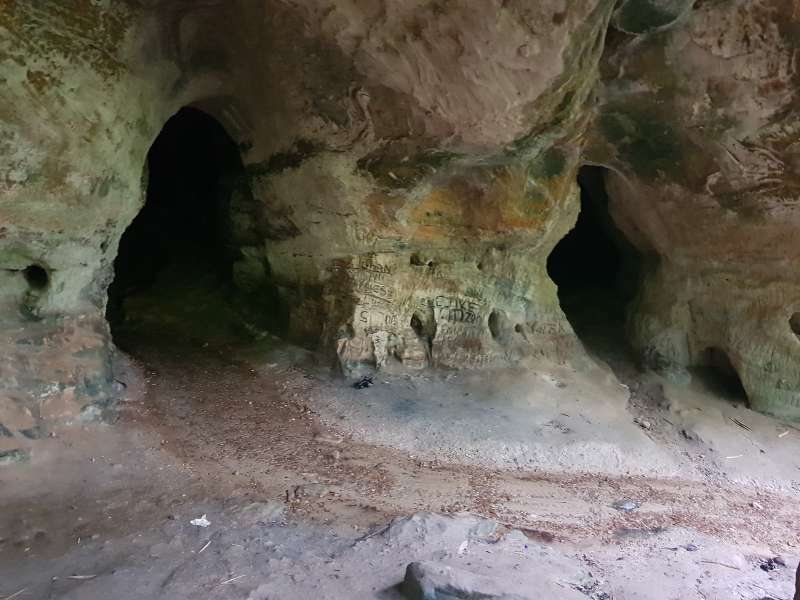 Located in a valley enveloped by tropical rainforest in Ogbunike, Anambra State, the UNESCO World Heritage Site, is a collection of large caves with adjoining tunnels some of which are interconnected. A the end of one of the tunnels a stream joins the Nkissa River. The caves hold spiritual significance for the local people. 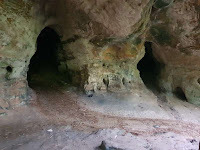 Every year, the caves host the 'Ime Ogba' celebration in commemoration of the caves' discovery. Resident bats nest high above the caves' floors. There is a waterfall in the Northwest part of the caves. 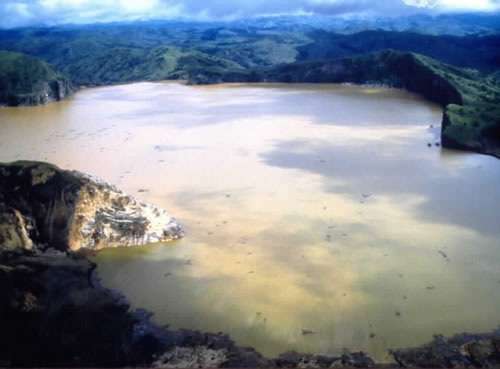 Nyos is a crater lake about 200 miles north of Cameroon’s capital city of Yaounde. The lake is on the side of an inactive volcano and is impounded by a volcanic dam. There is a pocket of magma underneath the lake, which leaks carbon dioxide into the water. The water then changes this into carbonic acid and makes the lake one of three exploding lakes in the world. This lake is designated 'World's Deadliest Lake' by Guinness Book of World Records. 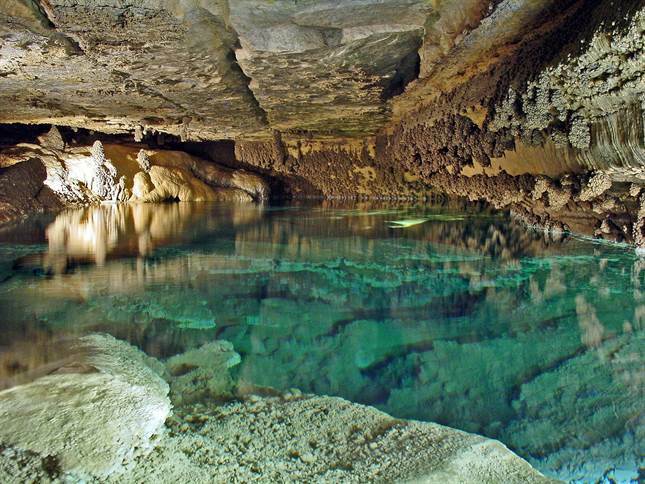 Discovered in 1937, Mystery Cave is the longest cave in Minnesota - spanning over 13 miles underground. It is a network of passages that was dissolved by moving water. Have you ever wondered how the Egyptians made those corpses into mummies; the chemicals they used? You don't have to wonder no more. 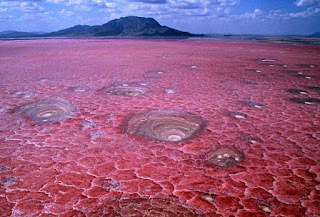 Meet Lake Natron. 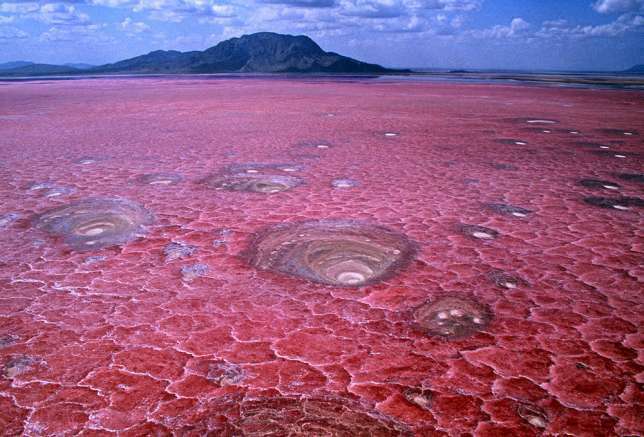 Located on Tanzania's border with Kenya, Natron Has the same chemical makeup as those used in turning dead bodies into mummies. The extremely hot lake, which often clocks 140degrees Fahrenheit can calcify animals who were very unlucky to step in, into stones. 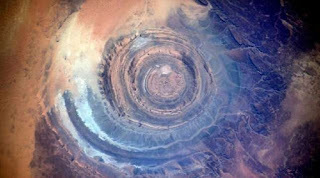 The Eye of Africa is a mysterious landmark discovered in the sands of the Sahara Desert by astronauts. It is a blue circle whose origin has, up to date, remained shrouded in mystery. Located in what was referred to as North Rhodesia, there is a pit that has come to be notoriously known as "The Forbidden Pit". Natives have terrifying tales of unknown creatures that inhabit the pit. It has an underground river which rose to within forty feet to the top. Although expeditions to find these creatures came to futility as no such things were found, the locals still cling strongly to their stories. 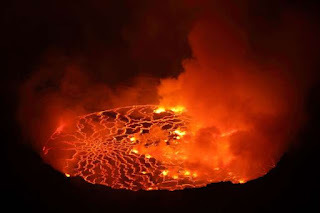 The Nyiragongo Volcanic mountain located in Congo has a permanent lake of molten magma atop it. Measuring around 700 feet, this lake remains a constant threat to the inhabitants of the nearby city of Goma. 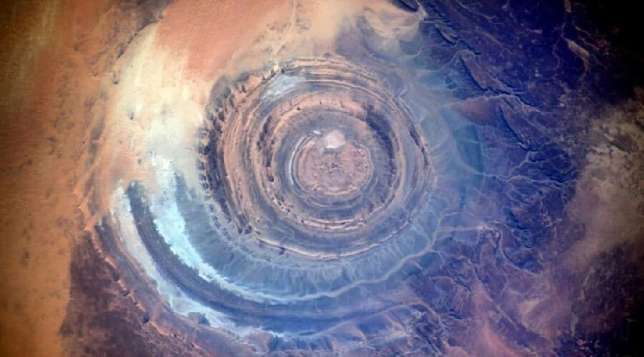 Between 1882 and 2002, the mountain has erupted 34 times, with those of 1977 and 2002 being the strongest of the eruptions. This is a visual illusion-based tourist attraction near Santa Cruz, California, opened in 1939 by George Prather. 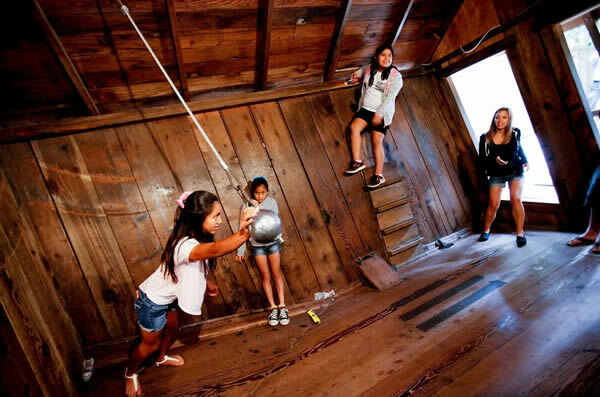 Visitors experience demonstrations that appear to defy gravity, on the short but steep uphill walk and inside a wooden building on the site. The Mystery Spot is a popular tourist attraction, and gained recognition as a roadside "gravity box" or "tilted house" illusion. At this roadside attraction, the laws of gravity and physics seem to disappear as balls roll uphill and people lean over past their toes without tumbling over.